Tom Ross and Mack Hansen, two locally-bred Brumbies. Photo: Jaye Grieshaber. In the months leading up to the establishment of the Brumbies in 1995, ahead of the first season of the Super 12 in 1996, there was a certain amount of angst within the Canberra rugby community about the number of players being signed from outside the ACT. After all, the ACT representative team and the Canberra Kookaburras had been more than competitive against high profile rivals. As it turned out it proved to be the perfect mix. The sizeable local contingent was led by George Gregan, Steve Larkham, Joe Roff, Rod Kafer and Marco Caputo, and was bolstered by the recruitment of Brett Robinson, David Giffin, David Knox and Ewen McKenzie. The team finished fifth in the opening season and made the final in 1997, before emerging as one of the most dynamic combinations in world rugby. Who could forget the flamboyant style of play, which had its origins in Canberra sides prior to Super Rugby? At times in its history, the Brumbies have struggled to replicate that mix of local juniors and imported players. In the eyes of some in the Canberra rugby community, this led to a disconnect between the Brumbies and the grassroots and was given as one reason for a drop off in crowd numbers. In fairness to the Brumbies organisation, developing players of Super Rugby standard doesn’t happen overnight and it takes years of hard work to bring a player through from local juniors to the top squad. On Friday night against the Waratahs, the Brumbies, in my opinion, took a major step forward in the reconnection process with seven local juniors in the matchday squad of 23. Judging by the response from the Canberra rugby community there was a sense that the team had returned to the origins of the early years which laid the platform for the so-called golden period for the Brumbies. Any doubts that locally-developed players are essential for the future of the organisation would have been erased with the crowd response to Mack Hanson and Tom Ross coming from the bench. Not only does it provide a visual pathway for young players but it also gives those involved in grassroots an indication that they are on the right track in terms of developing players. 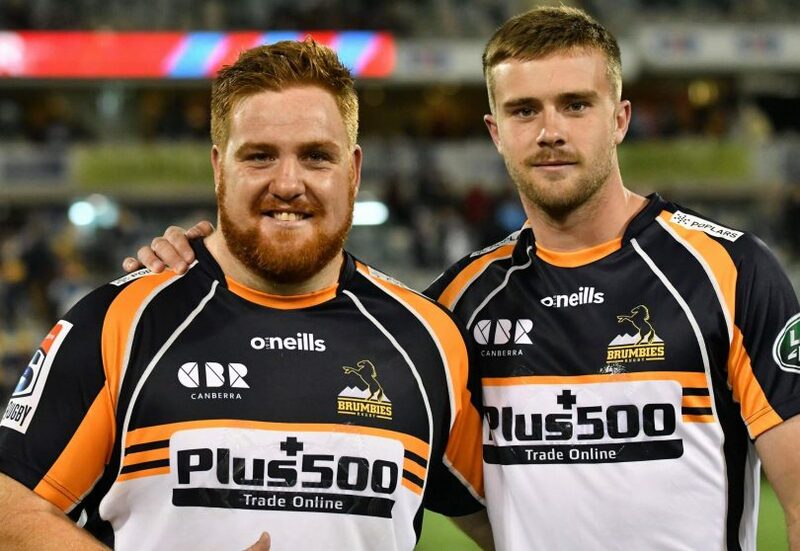 There is no greater feeling for those involved in Canberra grassroots rugby than seeing one of their own, whom they have watched as juniors, going on to play for the Brumbies. It’s an indication that the Brumbies are very much on the right track with this philosophy.